It would be nice to say that Season 13 of Real Housewives of Orange County started out with a bang, but that sadly is not what happened. At all. After a dismally boring Season 12, the Season 13 premiere was just OK. Pretty much nothing happened, but let’s hope that the ladies are just warming up. Tamra Judge and Shannon Beador were on their A-Game when they were Andy Cohen’s guests on Watch What Happens Live last night. Again, let’s just hope that’s a good sign of what to expect this season. Instagram Roundup: Kim Zolciak, Jenelle Evans, Peta Murgatroyd, Tamra Judge, & More! On television, most reality TV stars are focused on the drama, which makes perfect sense it’s a job, but in real life most of your favorite reality TV stars are all about the family time. Or at least that’s what they’re sharing on Instagram these days. Former New Jersey Housewife Caroline Manzo spent quality time with her granddaughter Marchesa- a photo that she decided to caption with some Kanye West lyrics, which is very unexpected to say the least. Jersey Shore star Nicole “Snooki” Polizzi and her two kids had a dance party with Mickey Mouse. 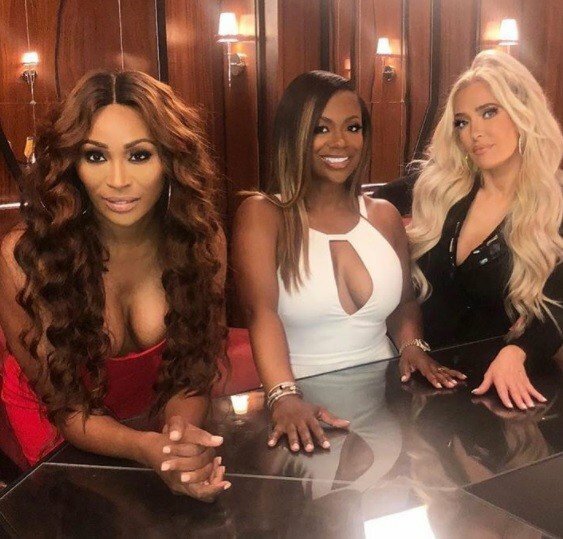 Reality Star Easter & Passover Photos- Cynthia Bailey, Leah Messer, Yandy Smith, Ramona Singer, & More! A lot of your favorite reality TV shows shared photos from their Easter and Passover celebrations with their families. Real Housewives alums Heather Dubrow and Siggy Flicker had double the fun and celebrated both Easter and Passover- and documented both holidays, with photos, of course. Potomac Housewife Monique Samuels enjoyed an egg hunt with her children and neighbors. Farrah Abraham’s daughter Sophia Abraham, Cary Deuber’s daughter Zuri, Ali Fedotowsky’s daughter Molly, and other reality TV offspring celebrated Easter by hunting for eggs. 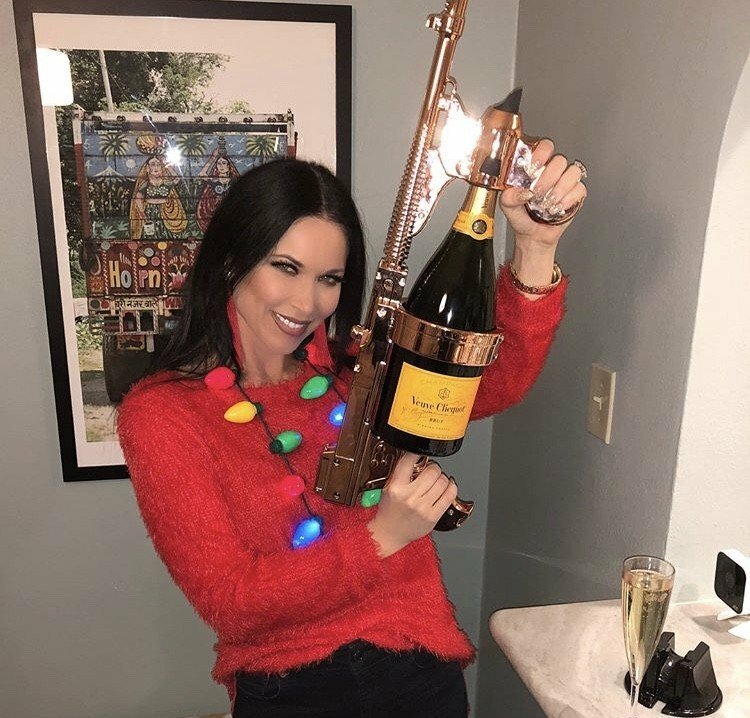 All of your favorite reality TV stars went all out celebrating Christmas this year and they posted the photos to prove it. 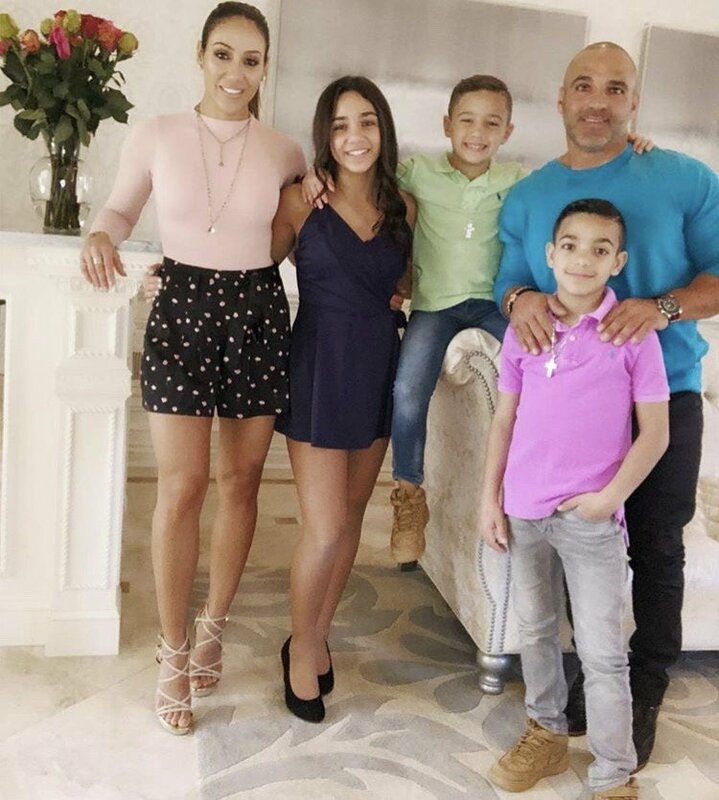 Sisters-in-law Teresa Giudice and Melissa Gorga had the best holiday photo which paid homage to their iconic Christmas Eve feud holding up boxes of sprinkle and pignoli cookies. I’m happy that they were able to get over that infamous argument and now I will never let go of this photo. We are in the middle of Hanukkah and just a week away from Christmas. This means that all of our favorite reality stars are attending holiday events, rocking holiday outfits, and spending lots of time with their families. It also means that they’ve shared a lot of photos- just in time for the weekly Instagram Roundup. Million Dollar Listing star Fredrik Eklund and his husband Derek Kaplan rocked matching Christmas pajamas with their newborn twins. Giuliana Rancic and her son Duke also wore coordinating Christmas PJ’s to get into the holiday spirit. Little Women: LA cast member Jasmine Arteaga Sorge shared a photo with her two sons in front of a Christmas tree. Jenni “JWOWW” Farley got in the Christmas spirit (and away from the cold) with her husband Roger Mathews in Miami. Bethenny Frankel put her own spin on a Santa Claus outfit, plus it is Skinnygirl red so that doesn’t hurt. Kail Lowry shared some adorable snaps from behind-the-scenes at her family’s Christmas card shoot. Instagram Roundup: Jenelle Evans, Siggy Flicker, Dorit Kemsley, Snooki, & More! It is the most wonderful time of the year! Not only are there great reality TV shows on right now, but also the winter holidays are coming up! This means that your favorite reality stars are getting festive, picking out and decorating their Christmas trees and attending big parties. They’ve shared some great photos for this week’s Instagram Roundup for their fans and followers to enjoy. Real Housewives of Beverly Hills alum Eileen Davidson and her family chose their Christmas tree. Former Real Housewives of Orange County star Alexis Bellino went to the Christmas tree farm with her family. Terry Dubrow shared a photo of his wife Heather Dubrow decorating a massive tree at the infamously mysterious (and expensive) Chateau Dubrow. Ex Real Housewives of New York star Kristen Taekman carried her family’s tree with help from her husband Josh Taekman.